Just one glance around Tim Price’s home makes it easy to see the Pullman man loves music. Some walls are adorned with music-themed decorations, while one room holds a large 30-year-old Steinway piano, accompanied by floor-to-ceiling shelves packed with more than a thousand pieces music. The piano, sold to Price’s family by a retired professional piano player who developed Parkinson’s disease, is mostly played by his wife, Sandy, who also collects piano music. 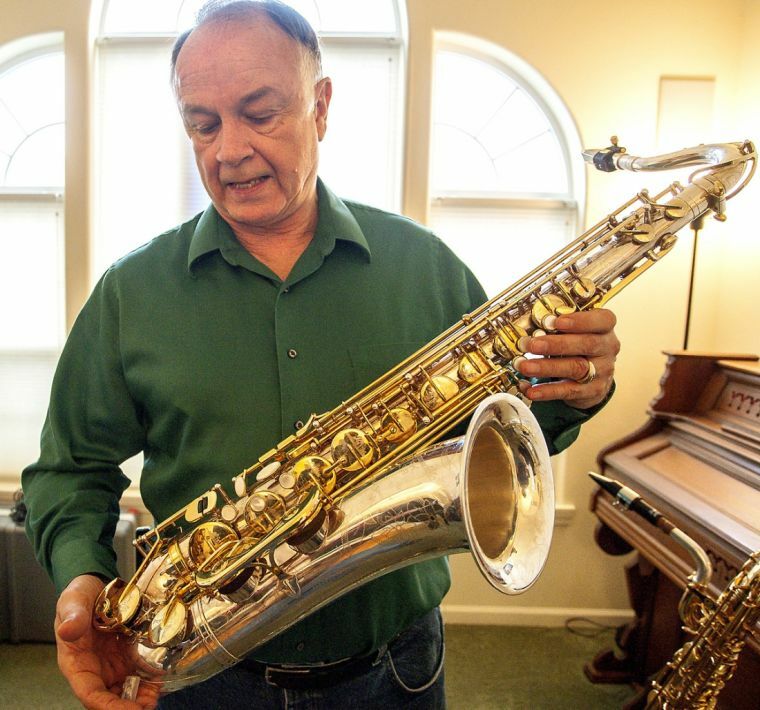 Price, a Laurel, Mont., native who earned his bachelor’s degree in music education from Washington State University, collects music, too, only for saxophone ensembles. He has about 600 pieces, with half of those being for quartets. One piece requires a whopping 14 saxophone players. Luckily, Price, 66, is well-versed in large groups of saxophones and personally owns 10. 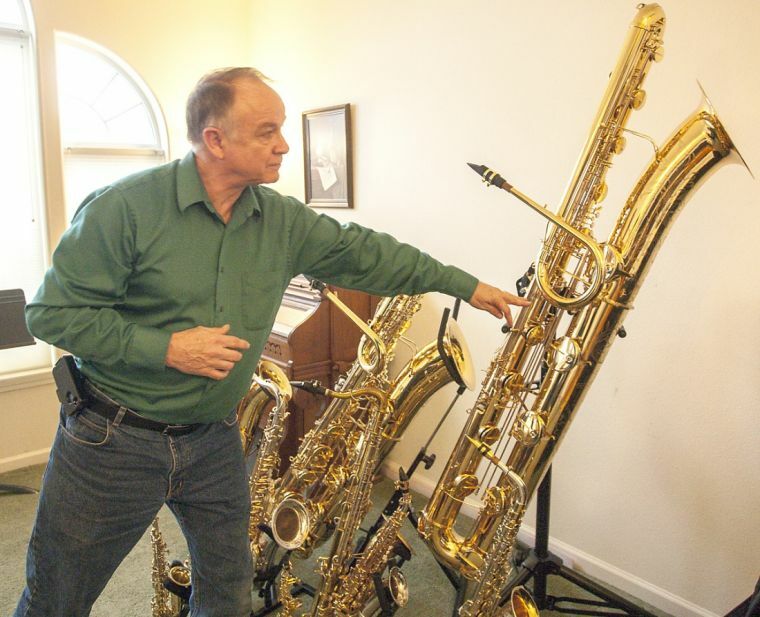 The collection, which began with the purchase of a new alto saxophone in 1963, has since grown to include eight different kinds of saxophones. The smallest is a soprillo saxophone, which is straight and about a foot tall. The soprillo plays in the same high range as a piccolo. The next size up is the sopranino saxophone, which is just slightly taller than the soprillo. The third smallest of all saxophones is the more commonly known soprano saxophone, but the one Price owns is different than most. While most soprano saxophones are straight (think Kenny G), Price’s is curved, making it look like a miniature version of an alto. Price owns two altos and two tenors, which are generally the most common saxophones seen in small ensembles or school bands. On the low end of the saxophone scale, Price owns baritone, bass and contrabass saxophones, each bigger than the last. The baritone saxophone is the most common of the low-voiced saxophones and is usually a bit taller than 3 feet. 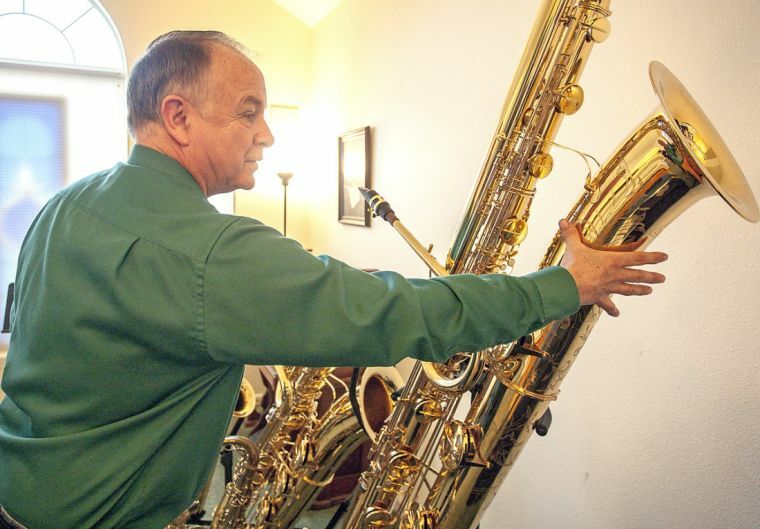 The bass saxophone weighs 24 pounds and is made up of about 12 feet of piping, but the one that garners the most attention, Price said, is the contrabass saxophone. Standing 5 feet 10 inches tall and weighing 45 pounds, the contrabass is the second largest saxophone made. Only a subcontrabass saxophone is larger, though it’s still a relatively new instrument and hits only two or so lower notes than the contrabass. The contrabass contains 16 feet of piping and can play an entire octave lower than a tuba. “It’s like a 16-foot pipe organ,” Price said. But unlike playing a pipe organ or even the piano, Price stands when he plays the contrabass saxophone, which sits on a stand Price can crank up or down. “I love the way it plays. It plays in tune and it has extended range,” Price said. While he doesn’t like to broadcast the price of his contrabass saxophone, Price said he always tells people it costs the same as a new car, more than a Hyundai but not as much as a Mercedes. 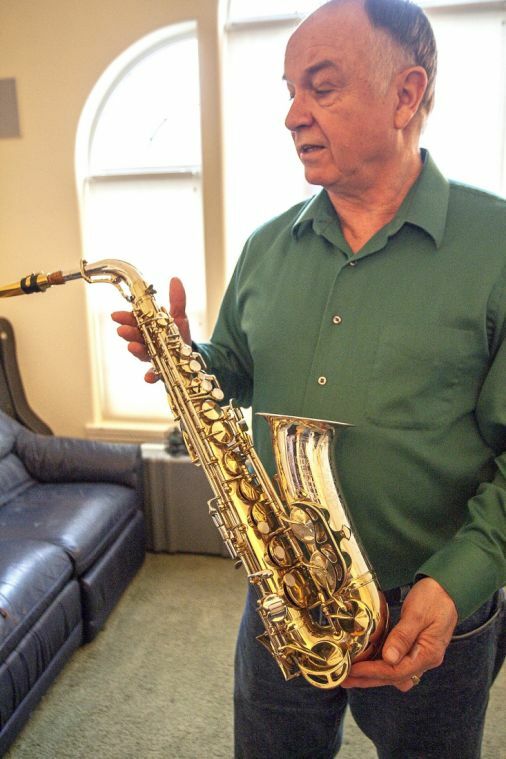 All of Price’s saxophones are top of the line and have interesting back stories. One of his tenors, a Dave Guardala professional model he calls the second most fun to play after the contrabass, is one that can never be replicated. The saxophone, part of Guardala’s New York series, features engravings of New York scenes on each of its keys. Some of the larger keys feature the Statue of Liberty while others have the New York skyline, including the Twin Towers. Price said his model was made in 2001 before Sept. 11 and production of the engravings stopped immediately after the terrorist attacks. 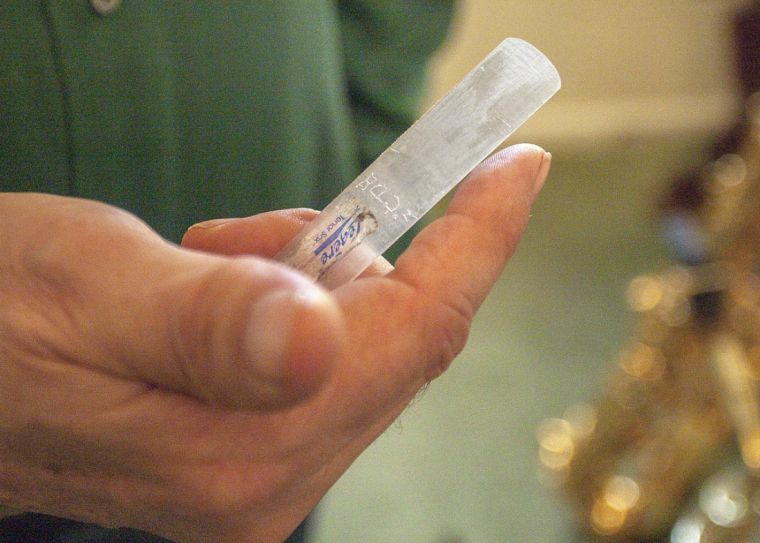 “You can’t get this … there aren’t going to be anymore of these,” he said of his engraved tenor. 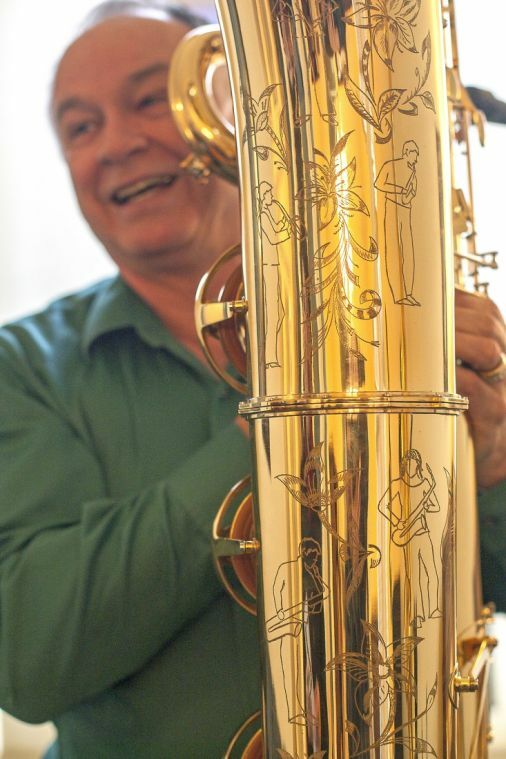 Some of his saxophones are also engraved with one-of-a-kind designs, drawn by his niece, of young people holding each kind of saxophone. 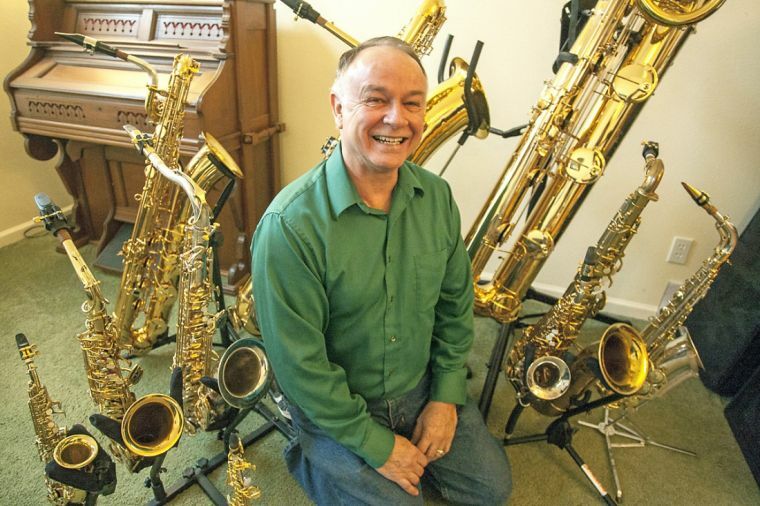 In addition to being a member of many local ensembles, including the Community Band of the Palouse and the Hog Heaven Big Band, Price also takes his saxophone collection to schools and universities as a teaching tool. A former elementary and middle school band director in Bellevue, Wash., for 30 years, Price has shown off his horns locally at places like Pullman High School, Lincoln Middle School and the University of Idaho. He’s also traveled to many other states with them, including Oregon, Montana and Arizona. Price said the smaller saxophones, like the soprillo and the sopranino, are difficult to play because it requires lots of air moving very fast, perfect breath support and steady embouchure. The lower-voiced saxophones, on the other hand, are much simpler to play, but if a player blows air too fast, the instruments can jump up octaves and cause squeaking sounds. “It’s rare to find kids who can do it (play the smaller saxophones), but every once in awhile I do, and that’s fun,” Price said. To view more photos of Price’s collection, see below. Meredith Metsker can be reached at (208) 883-4628, or by email to mmetsker@dnews.com. Follow her on Twitter @MeredithMetsker. 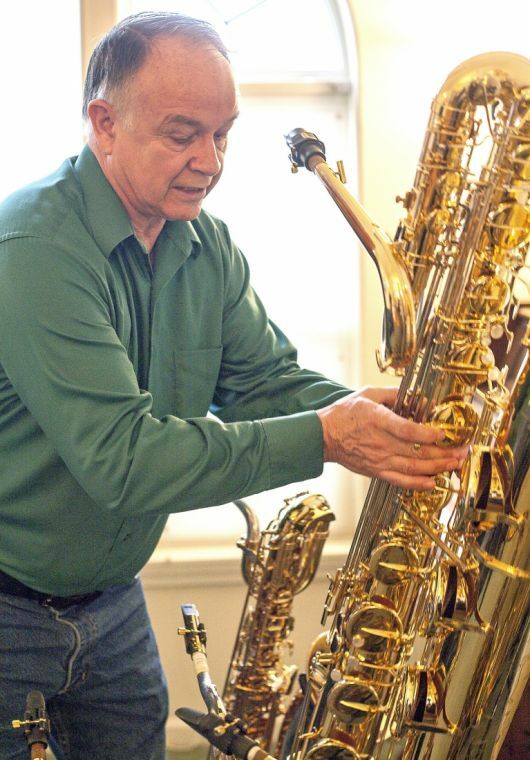 Tim Price talks about the etchings on some of the instruments in his saxophone collection. Price’s niece is an artist who drew pictures of people playing Price’s saxophones and he had the instrument maker etch the drawings onto the saxophones. 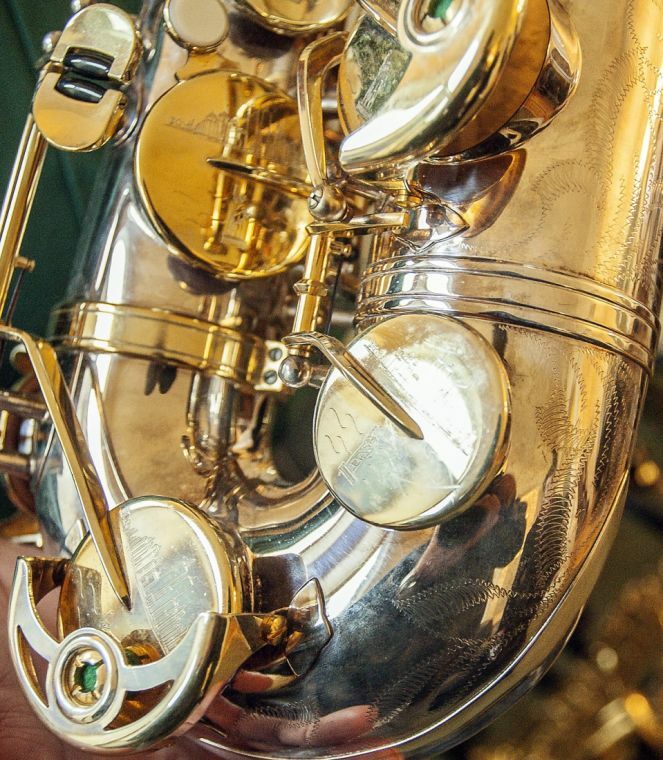 This saxophone has engravings of New York city scenes on the valves, including a skyline showing the Twin Towers. Dean Hare/Daily News.